During the later years of Frida's life, she was tortured by numerous illness and complications. This self portrait was painted in 1943 and Frida's health was deteriorated during that period and she had to be bedridden most of the time. Due to her poor health condition, death is an inevitable thought which lingering over her mind. In this painting, death is symbolized as a skull and crossbones which shows up in her forehead. In ancient Mexican culture, death also means rebirth and life. In this portrait, she put herself against a background with lavish green leaves, which is a symbol of life. 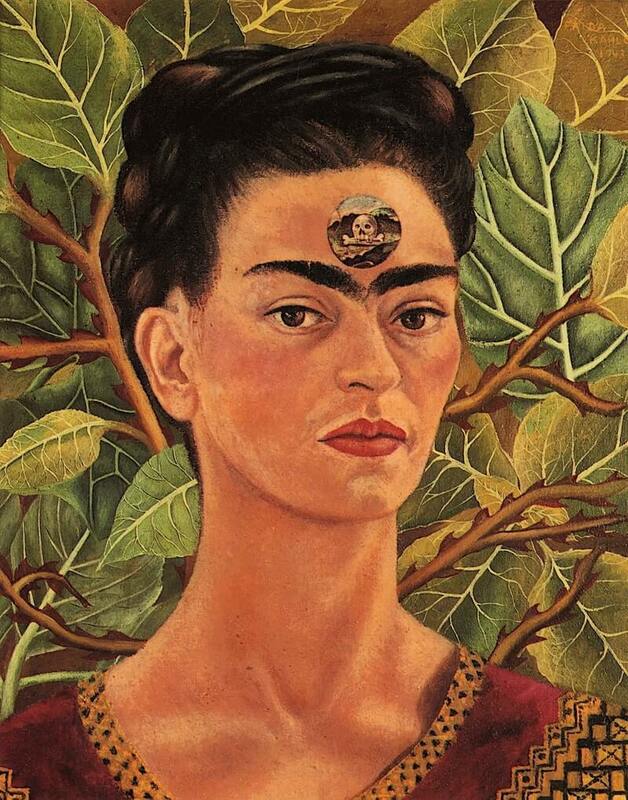 It seems Frida understood that death is a path to another form of life.